Stalin statues are a much rarer sight than Lenins, as they were mostly removed from public spaces after Khruschev's denunciation in 1956. 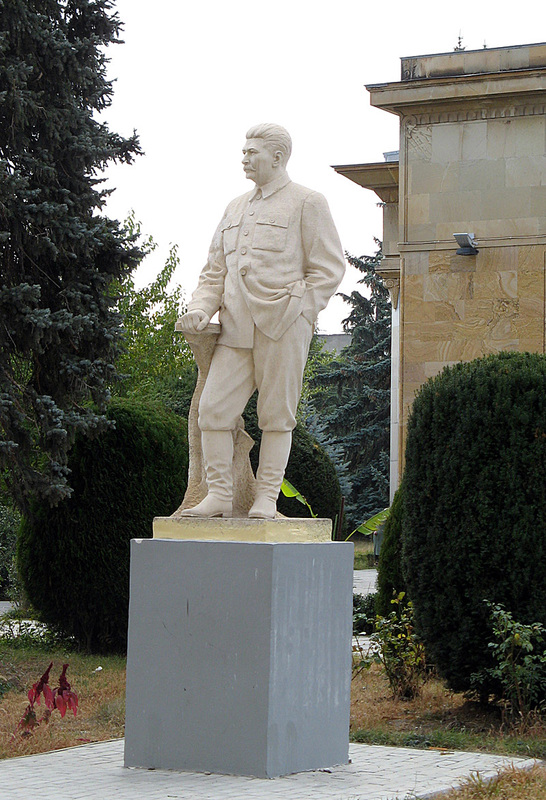 I only know of two full bodied statues "in the wild", both in his home town of Gori, Georgia. However I've occasionally also spotted him in other places, in more limited forms. 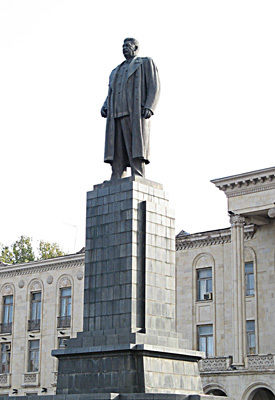 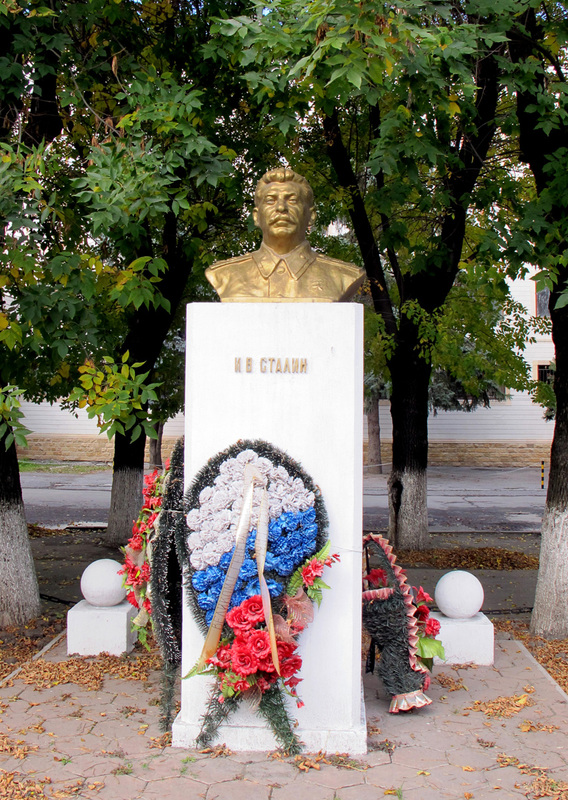 Note that many of these, especially in Russia, are intended as active tributes to Stalin's memory. 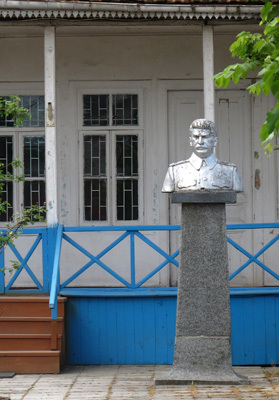 A smaller and more relaxed Stalin statue, posing outside his boyhood home, near the Gori Stalin Museum. 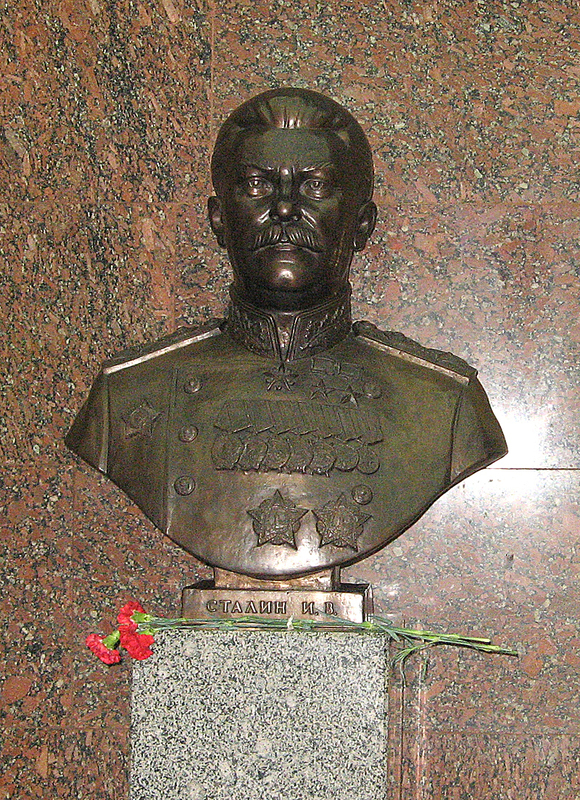 The Moscow WWII Museum's "Hall of Commanders" contains bronze busts of all the WWII Marshals of the Soviet Union. 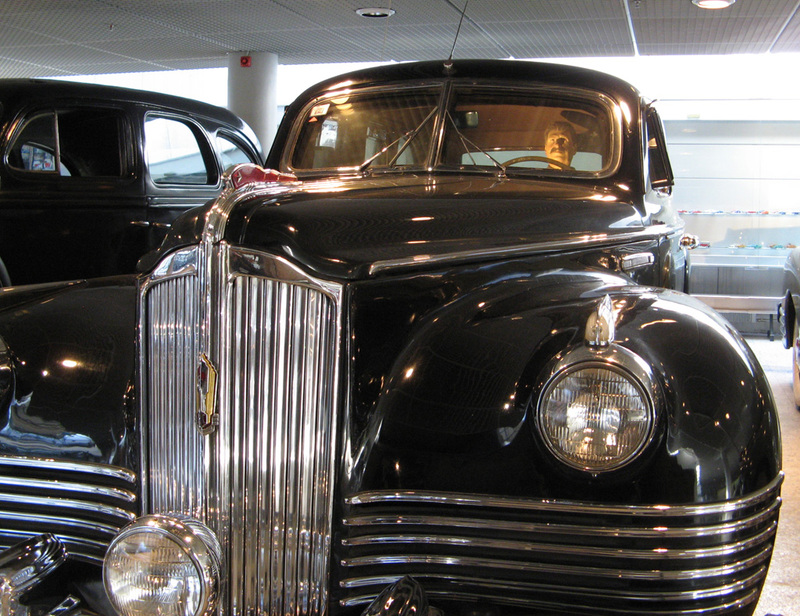 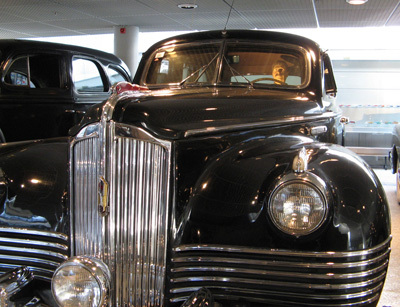 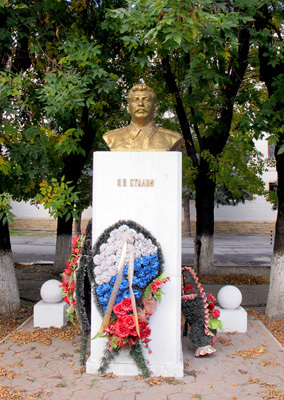 Stalin and Zhukov are given the best spots, but Stalin was the only one to be decorated with fresh flowers. 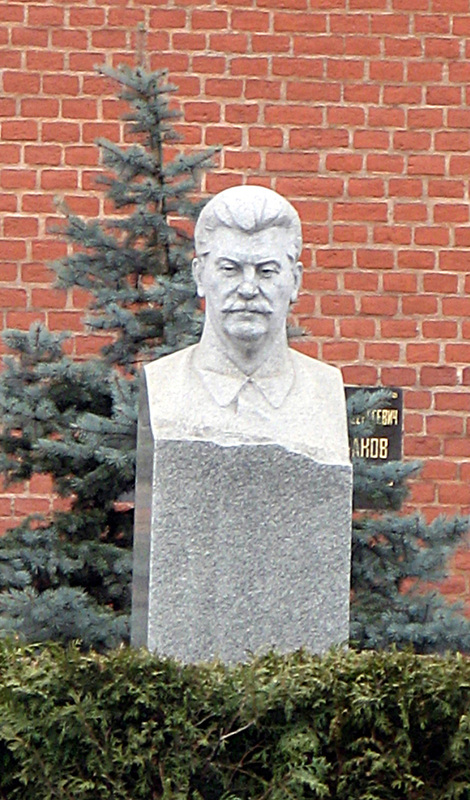 A bust marks Stalin's grave in the Kremlin Wall, beside Lenin's Mausoleum. 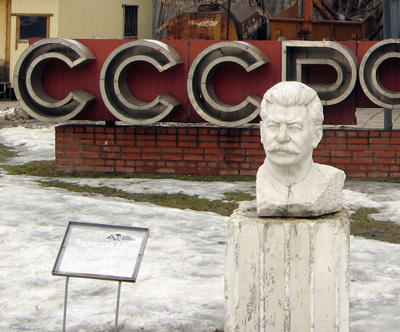 He stares grumpily into Red Square. 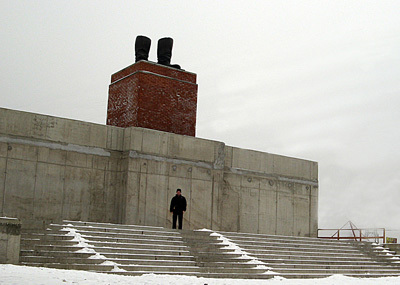 Guards keep the tourist hordes at a respectful distance. 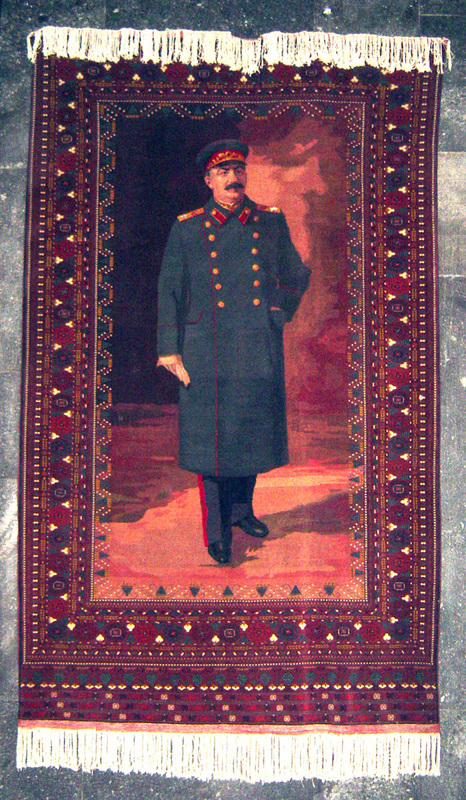 In the Stalingrad museum, he appears only as a carpet. 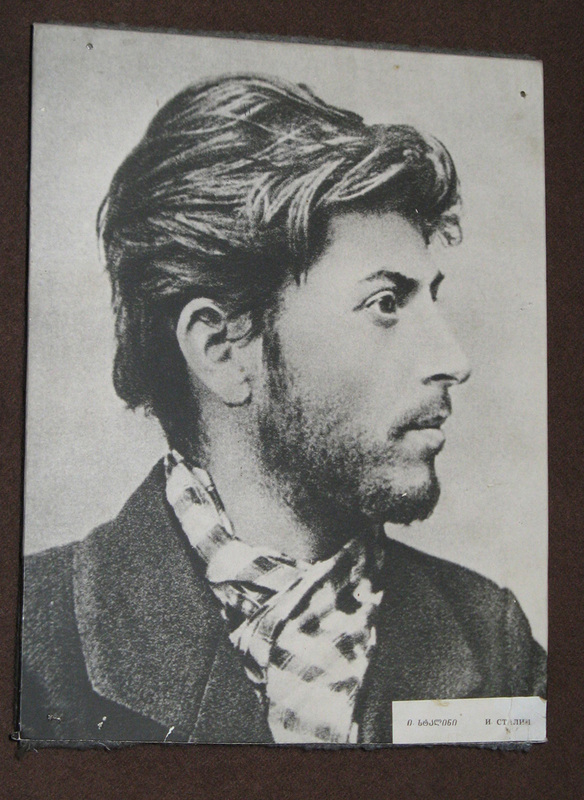 A Tsarist police mugshot of a troublesome young revolutionary. 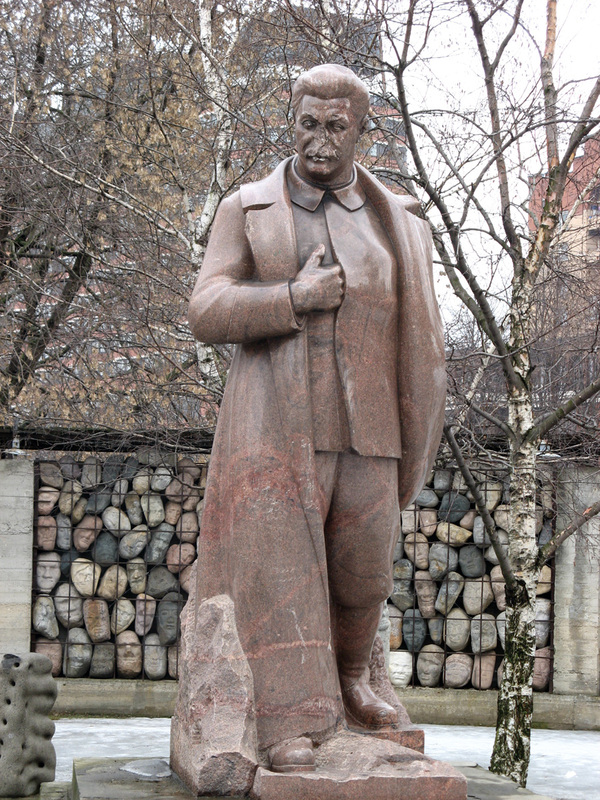 This modern sculpture commemorates the Hungarian Revolution of 1956, during which the towering 25 meter statue of Stalin in central Budapest was torn down, leaving only a pair of gigantic boots standing. 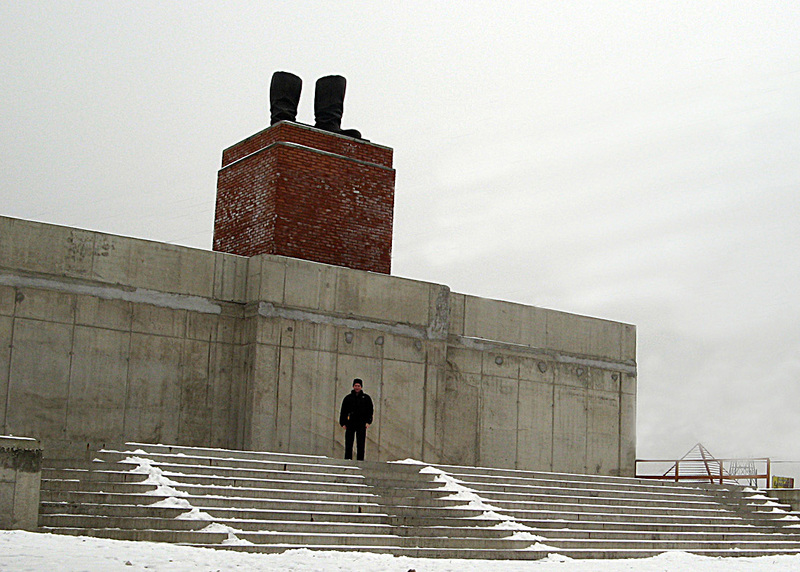 This is a full scale artistic reconstruction of that epic scene, at the Memento Park, Budapest. 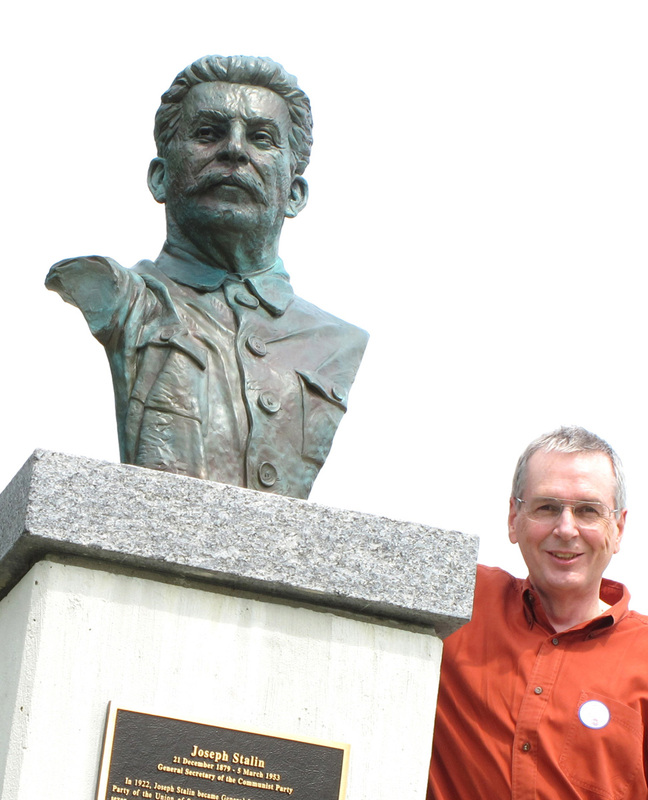 A surprise Stalin bust at America's National D-Day Memorial. The small but fascinating Batumi Stalin Museum. 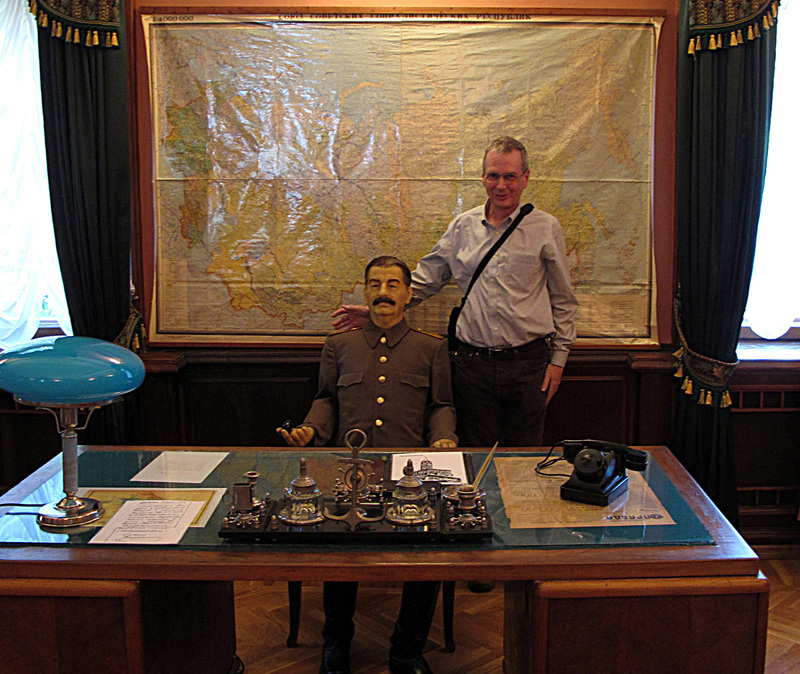 The curator's office in Batumi's Stalin Museum. 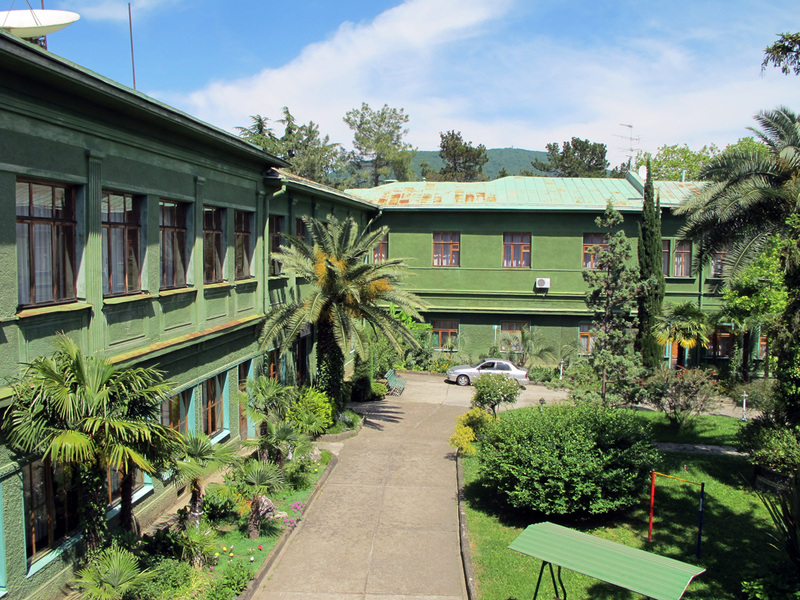 Stalin's Dacha, near Sochi, painted green for camouflage. 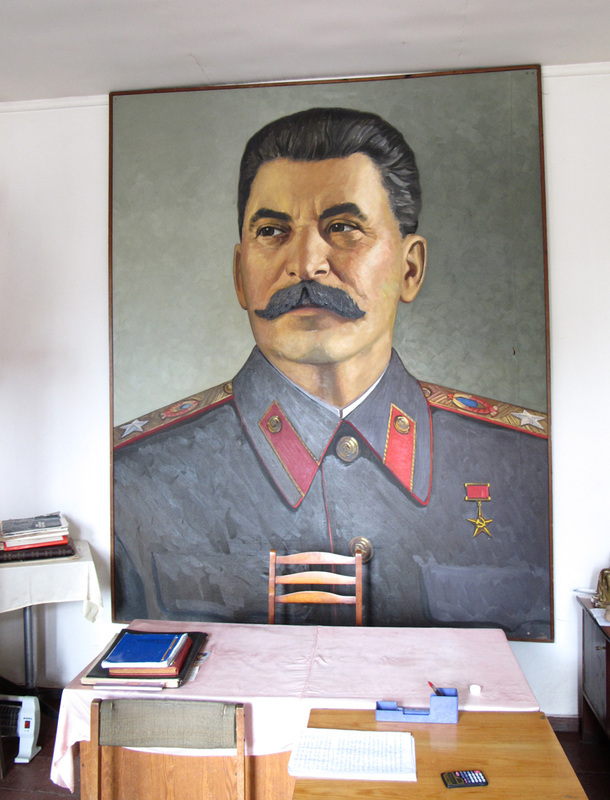 A waxen Stalin, still hard at work at his Dacha desk. 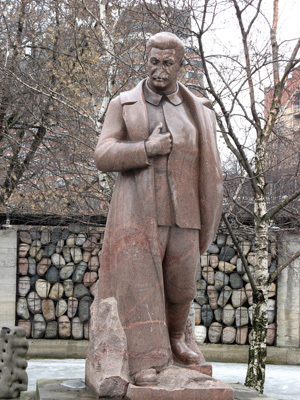 I think of these statues as "disowned", as they are presented not as tributes, but as conscious rejections of the Soviet past.